This level has hard difficulty. For this level try to play from bottom part of the board and make special candy. 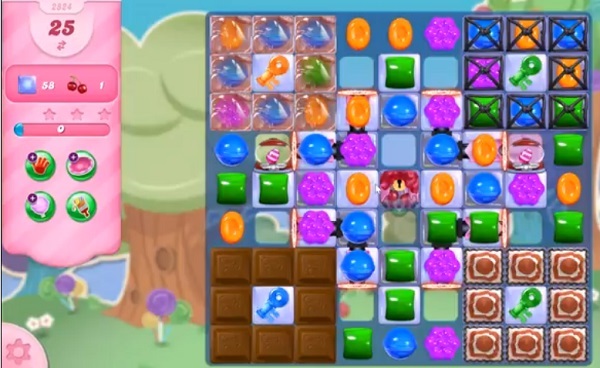 Combine special candies with each other and use more striped candy to break the corner jellies or to move ingredients and take them out from the board. SHAME ON YOU AGAIN!!! GET YOUR ACT TOGETHER CC!!! WHEN THE HELL ARE YOU GOING TO FIX THIS DAMN LEVEL AND ALL THE OTHER LEVELS THAT ARE AFFECTED WITH YOUR INCOMPETENCE!!! It’s impossible with only 13 moves. When can I expect to get the right amount of 25 moves.Been on it for months now and am getting bored. Won’t try for much longer.